Yummy. Not only that, you can make them directly from items that are store-bought and ready-made. Stay away if you have diabetes. Make the cookie mix by following the box instructions. In a baking pan (i.e. Rachel Ray NonStick Bakeware) lined with parchment paper, spread the cookie mix in a thin layer. Add a layer of Oreos. 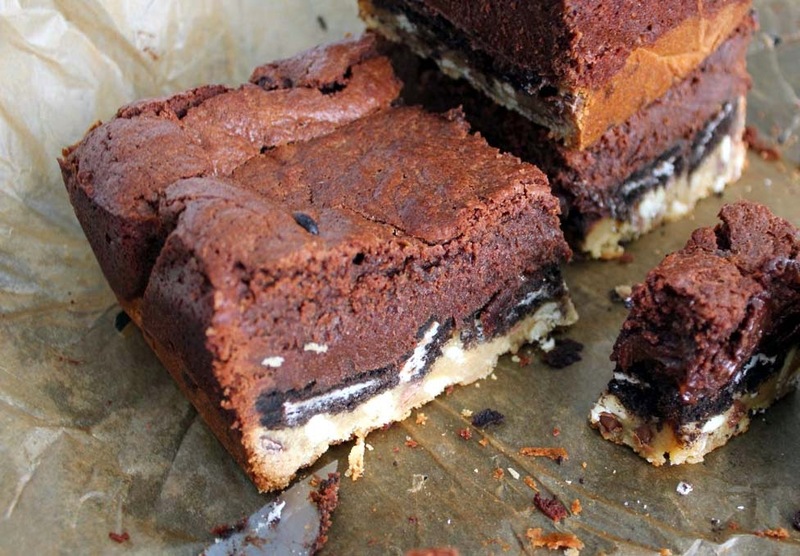 Make the brownie mix, then pour over the oreos and cookie dough layer so that everything is covered. Allow to cool and set for several hours. Better, yet, leave overnight before serving. The picture below should give a step-by-step idea of how to make. Those who want to make chocolate chip cookies from scratch can check here.